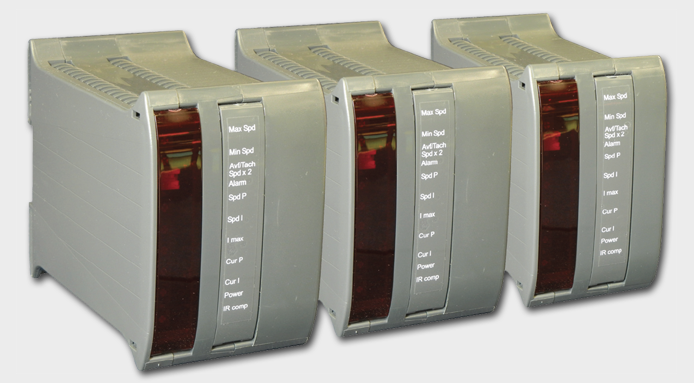 These drives are designed for small, high performance position and speed control applications such as robotics, mechanical handling, automated assembly, packaging processes, machine tool axis, etc. The units are miniature, fast response, reversing, linear transistor drives for brushed DC motors with armatures up to 48 volts. They operate from either a smoothed, unregulated, rectified DC, or battery supply, and include built in thermal protection, current limit with short term overcurrent capacity and resettable overload trip. The control circuits are designed to ensure extremely low noise emissions, and will meet the most stringent of EMC (Electro-Magnetic Compliance) requirements. 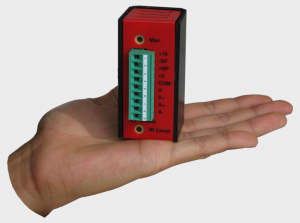 Miniature unit with built in “P” or “P+I” or “PID” (Proportional, Integral, Derivative) for closed loop position, speed or torque control. Speed control, armature voltage feedback with IR compensation. Torque control with armature current feedback. These products are designed for small, high performance position and speed control applications such as robotics, mechanical handling, automated assembly, packaging processes, machine tool axis, etc.